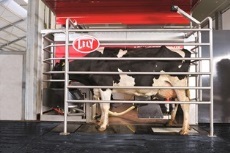 Visit Post Lely Center this week at the 32nd Annual South Western OntarioDairy Symposium. This is an interactive event, where everyone is part of the program. Check out the symposium web site for more details and to submit your discussion items. The South Western Ontario Dairy Symposium is planned and sponsored by Dairy Farmers of Ontario, through its Dairy Producer Committees in Essex-Kent, Lambton, Middlesex, Elgin, Huron, Perth, Oxford, Waterloo, Wellington, Brant, Norfolk, Wentworth, Haldimand and Niagara, in cooperation with the Ontario Ministry of Agricuture and Food. For more information about Post Lely Center, contact, Robyn Walsh, ph. 226-971-2640 or email at robyn@postfarm.ca or visit their Post Lely Center web site.